You can thank one of your fellow readers for this post today! With bright summer days right around the corner, picking up a fresh pair of sunglasses is a great way to update your look. I love switching out my sunglasses based on my outfit, so I usually like to pick up a few new pairs every season. My sunglasses collection is seriously mixed – I have pairs that are $15 (like the gold pair at the top), others that are $400, and everywhere in between. While I do like to invest in a statement pair every once in awhile, you definitely don’t need to spend a fortune to find the perfect pair. Here’s a roundup of my favorite sunglasses of the season at various price points! One style I’d looooove to get my hands on this season is this tortoise-paneled cat-eye pair. Obsessed!! The mix of gold + clear framing on this Westward Leaning pair gives me all the feels… There’s a great industrial vibe to these! If you’re on the hunt for a statement staple pair to wear every day, try the St. Louis from KREWE. It also comes in this color, this color and this color too! This is the pair I have. I’ve always loved Karen Walker sunglasses. At one point I had four pairs! While she definitely has some solid staple styles like this and this, I’m most excited about her newest looks like this pair and this pair. The silhouettes and the unique way the tortoise is incorporated into the design are fantastic! They’re different and cool, but totally wearable. A fan of round styles? Try this pair or this pair. So cute! One of my personal purchases for summer was this pair of rose gold mirrored sunnies from Quay. Most of their sunglasses are under $100, so definitely check out more of their styles here and here! These were featured in yesterday’s post, but I wanted to call them out again. Such a pretty shape and combo of gold and tortoise shell! Loving the mirrored look? Here’s another pair to test drive. If you’re trying to match my Fendi sunglasses, this pair is a close bet! For a stylish everyday pair, try the Satya or the Margeaux from Banana Republic. These BP sunglasses have a very high-end look, but a fabulous price tag. I’d get the silver pair! These sunnies look a lot like my gold cat-eye pair! This one is also a solid alternative. If you’re looking for a “wear everyday” pair, I’m loving this rimless pair in solid black. Get the look of my Quay sunglasses with this pair from ASOS for under $20 or this Forever21 style under $10. Love these Karen Walker Super Duper sunnies? Snag the style for under $20 with this pair from Urban Outfitters. These look a bit like this popular Dior pair, don’t you think? If you love the interesting tortoise details of the sunglasses I mentioned in the investment section, try this pair for under $20. Sunglasses are for sure my favorite sunglasses and I can’t afford high-end ones especially with the frequency I switch out sunnies haha. Love the affordable ones that you have picked! 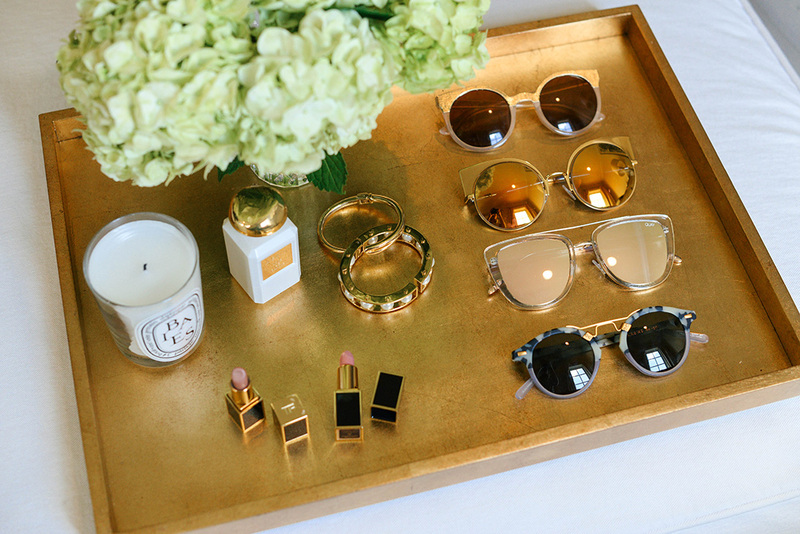 Such a great roundup of cute sunnies!! These are all such cute picks! I love that you listed ones for every budget range!